Overall size is 30x26mm. Shown with blue onyx. Bust Of Julia Donna. Due to its size, this pendant is not available with bicolor agate. 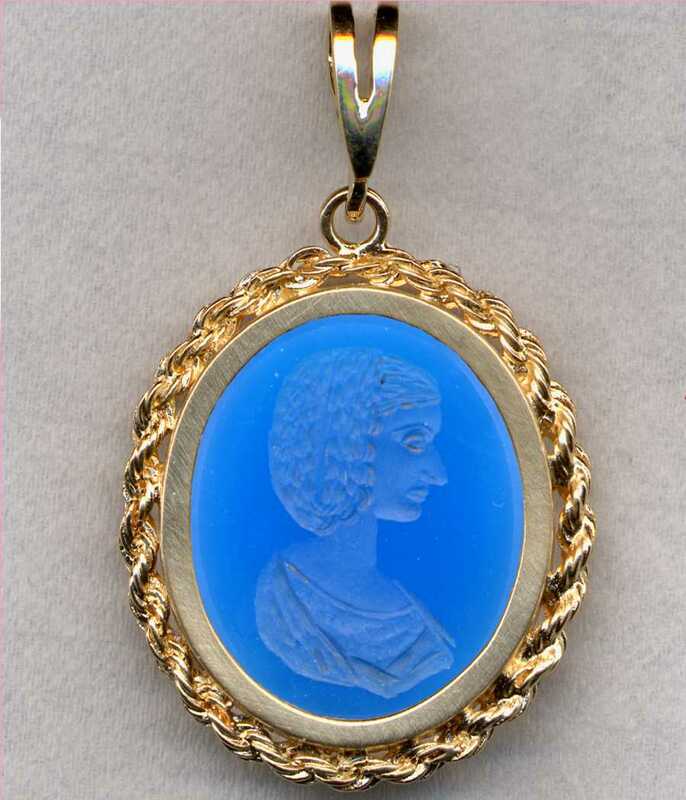 The original engraving was described in a museum catalog as: Bust of Julia Donna (died A.D. 217), in profile. She wears a chiton and a mantle draped over her shoulders. Her hair is dressed in the fashion of her time, brought low on either side over the ears and then gathered in a large coil at the back. Beryl Ringstone, 24mm. Metropolitan Museum of Art, New York.